You are here : Home > Informatics > Sachin misses 100th century again!!! Sachin misses 100th century again!!! 'Master Blaster' Sachin misses his much anticipated 100th century again, disappointing all indian cricket lovers. 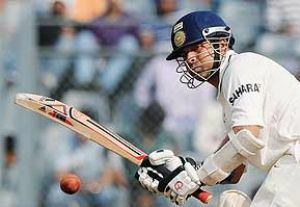 Tendulkar fell 6 runs short of becoming the first batsman to score 100 centuries during the third and final test against West Indies. Tendulkar, who resumed on 67 runs on Friday was dismissed for 94, 6 runs short from his world record. He faced 20 deliveries in the morning with a total of 8 fours and 2 sixes in 153 balls. 0 Response to "Sachin misses 100th century again!!!"